Where can you find the best coastal views on the South Coast? A. The Best Coastal Views are on Dorset’s Jurassic Coast! Forgive me, I know how much us “Dorsetarians” go on about how amazing the views here are. 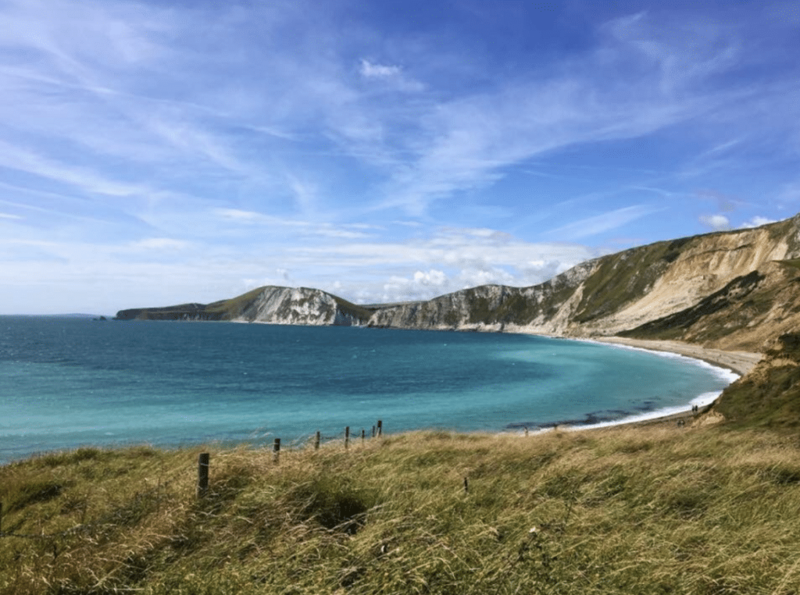 For us locals, we see pictures of the Jurassic coast all the time – on Facebook, on postcards, in local papers and paraded proudly in photo frames around our living rooms…we certainly are a proud bunch! And if you’ve ever holidayed along the Dorset Coast, you will definitely understand what the fuss is all about. I’m sure most of you have managed to snap up a whole album of Dorset landscapes to take home with you and show them off proudly to all your family and friends. 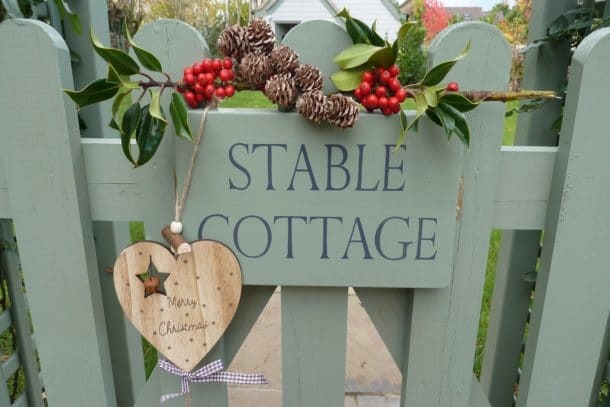 For the Dorset Cottage Holidays team, there’s only one person we go to if we’re looking for a stunning snap of the Dorset Coast. Our colleague and resident instagrammer, Becca is a fantastic amateur photographer. She has a real talent for snapping pictures that would struggle to look out of place in a professional gallery. Not only are her pictures visual delights, but she also has a few secret places she likes to shoot from to get the best Jurassic Coast images possible! Yes, this is an obvious one, but it’s too remarkable to be missed off the list. There’s no other coastal view quite like this in the world. As one of the most snapped landmarks on the Dorset Coast, Durdle Door has been naturally eroded to form the iconic and unusual archway. Just look at the stunning turquoise water – it makes you want to dive right in! Studland bay is one of the most popular spots along the Jurassic Coast. Known for the luscious golden sands and sparkling waters, holiday makers and locals alike flock to this coastline year-round to enjoy its stunning natural beauty. 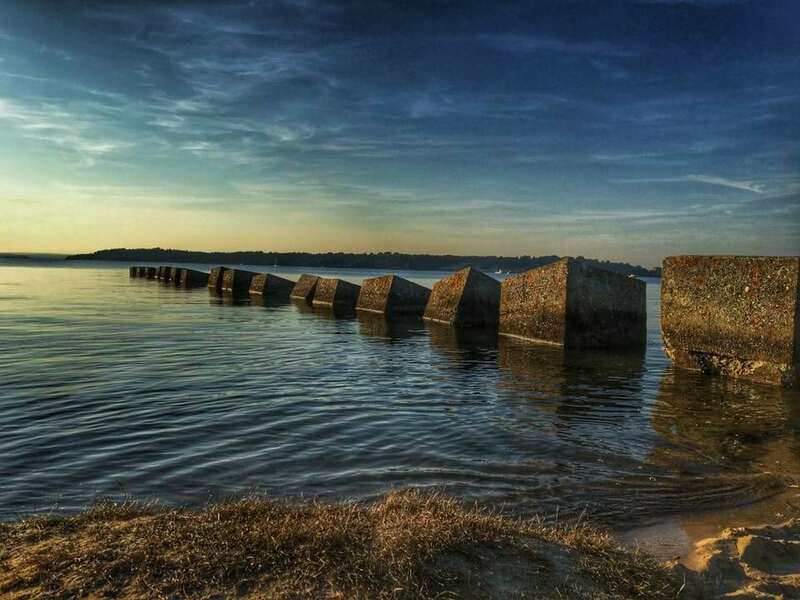 Built during World War II as anti-tank obstacles, these dragon’s teeth make a wonderful photo opportunity. So grab those cameras and head straight down to Studland! 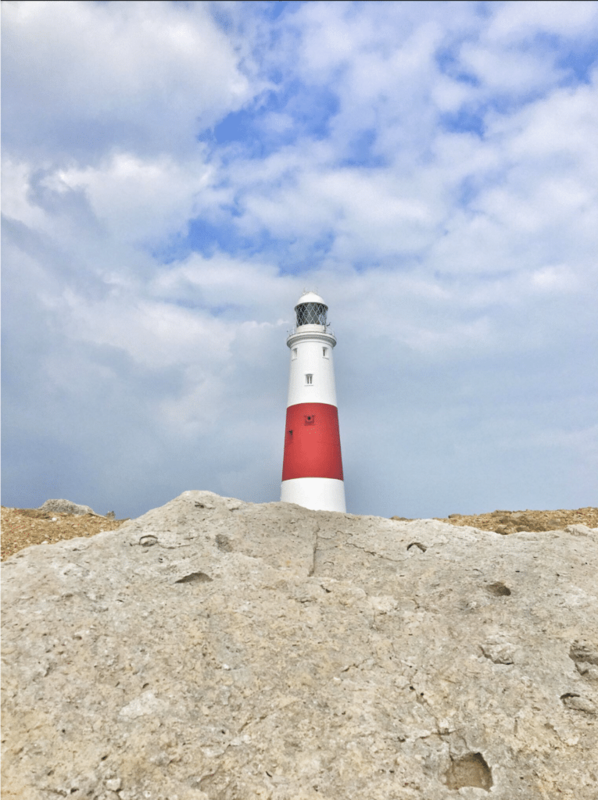 This iconic lighthouse stands as the jewel in the crown on the isle of Portland. You can capture the heart of the Jurassic Coast from this gorgeous spot. Opt for a tour of the lighthouse if you want to admire even more views across Portland Bay – don’t forget those binoculars! This small shingle beach provides a stunning lookout onto the Jurassic Coast. Even on a blustery day, the beauty of the bay really shows itself. In the Summer months you will probably find the jetty filled with keen crabbers, but a visit at a colder time of year will leave you with some tranquil and calm memories (and instagrams!) to take home. Marking the most easterly point on the Jurassic Coast, Old Harry Rocks has to make the shortlist for one of the best coastal views on the isle of Purbeck. There are lots of tales about how the rocks got their name. It is rumoured that a nineteenth century Viking, Earl Harold died in a formidable storm and was turned into the pillar of chalk! 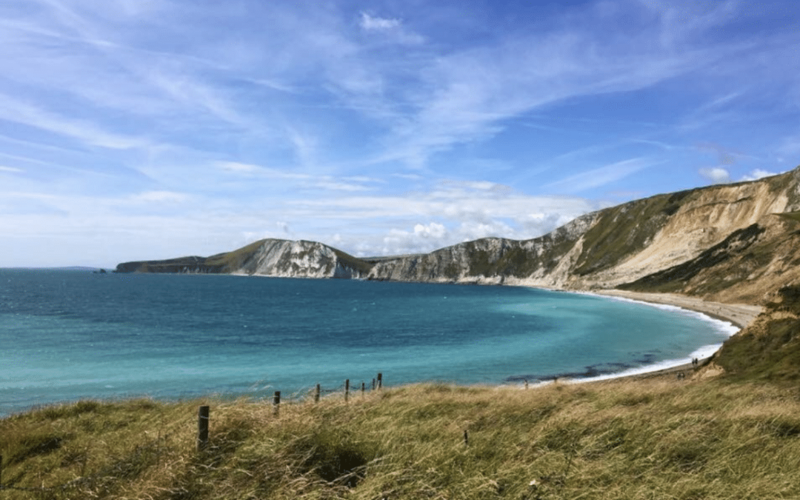 One of the lesser known spots where you can catch superb sights of the Dorset Coastline is Worbarrow bay. Whether you visit the eastern end, Worbarrow Tout or the northwest end, Cow Corner, you are bound to love the views. The mile walk down from Tyneham to the waters edge will give you plenty of opportunity to capture some breath- taking shots of the Bay and beyond. 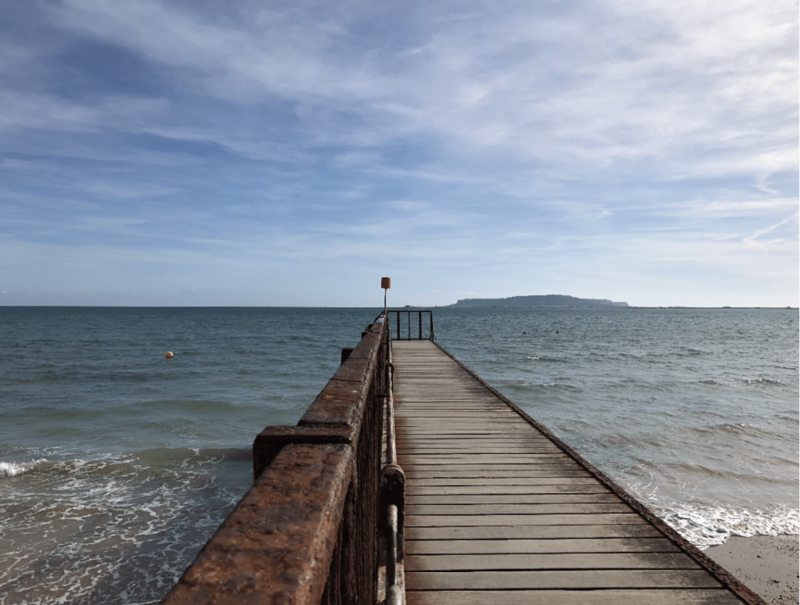 So whether you’re a budding photographer or simply have a love for unspoiled coastline, Dorset has the perfect backdrop. 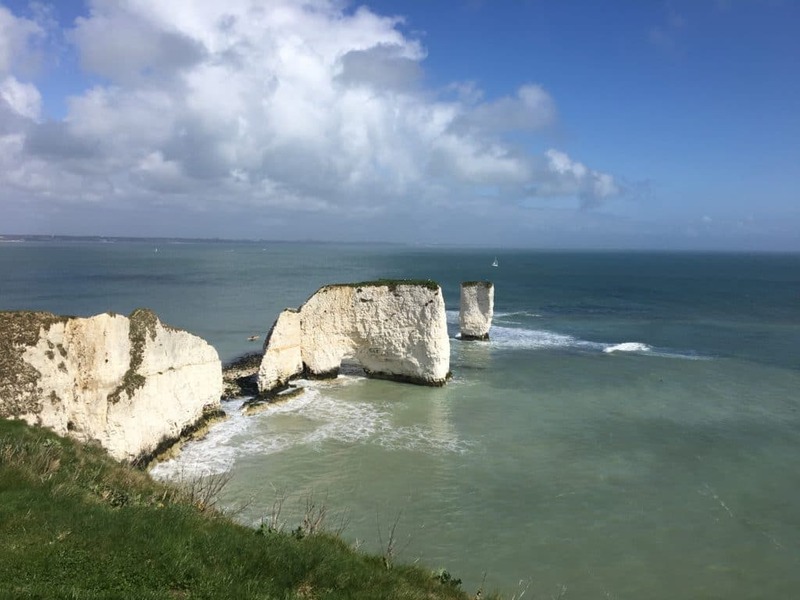 Whilst Becca’s pictures really do capture some of the best views in the area, Dorset has such a wide range of beauty that you’ll be spoilt for choice when holidaying in the area. Whichever season you decide to holiday, a walk along the Jurassic Coast can turn up some fantastic shots of the stunning turquoise waters and rolling seas so make sure you pack your cameras and binoculars! If you would like to visit the area and want to add to our list of top coastal spots in Dorset, just let us know.